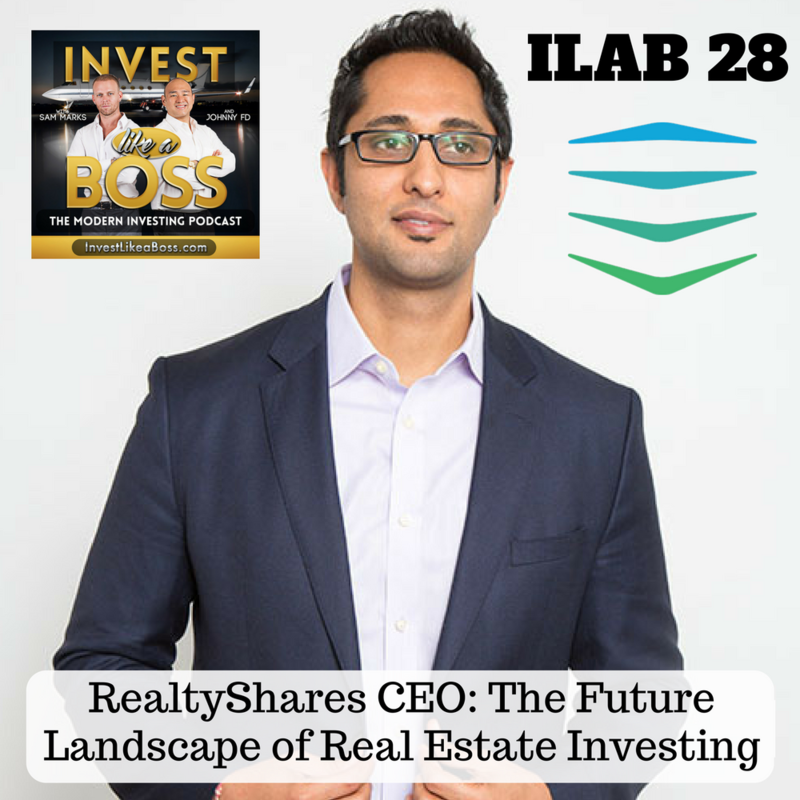 Nav Athwal is the very impressive founder and CEO of RealtyShares, a leading online marketplace for Individual and Institutional Investors to securely invest as little as $5,000 into private real estate investment properties all across the USA. Investments are offered by pre-vetted real estate borrowers and companies looking to raise debt or equity capital for their projects in as little as 10 days. Nav joins us to discuss why he started RealtyShares and the impressive path of the business from start-up to leader. The real estate investing landscape is changing, giving everyday investors more access to better deals previously only accessible to people in the know. Nav gives us his view on why technology and real estate now make the perfect intersection for investors seeking yield in one of the world’s oldest asset classes, and what the landscape may look like in the future. Listen to ILAB 28 on iTunes here or subscribe on your favorite podcast app. RealtyShares (realtyshares.com) is the leading online marketplace for investing in private real estate deals. Invest in professionally vetted properties for as little as $5,000 per investment. 00:40 – What is RealtyShares?